The economy bottomed in early 2009 and has slowly and steadily regained its momentum since aided by a very accommodative Fed policy and little pressure from inflation. The market has responded dramatically especially over the past year. 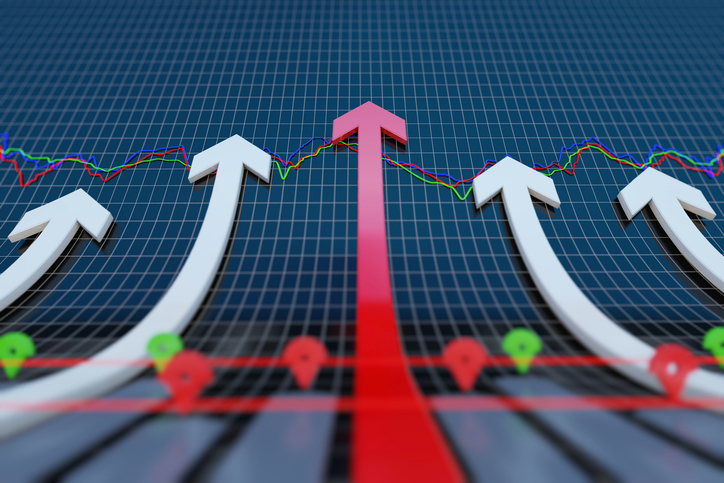 We believe the benign environment relative to inflation and interest rates is at a turning point and rates are poised to rise to more normalized levels while wage gains will begin to rise, reflecting a tight labor environment and a better ability of corporations to give raises. 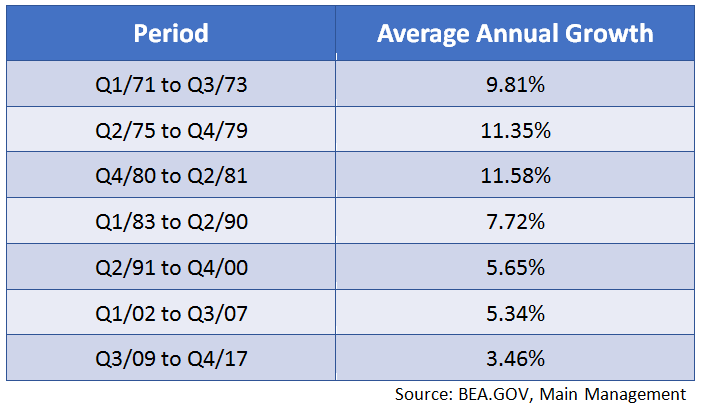 The past 10 years have produced sub-par levels of Nominal GDP as evidenced by a median gain of only 3.48% (3.0% on average), which is 44% lower than the 6.22% median achievement since 1964. 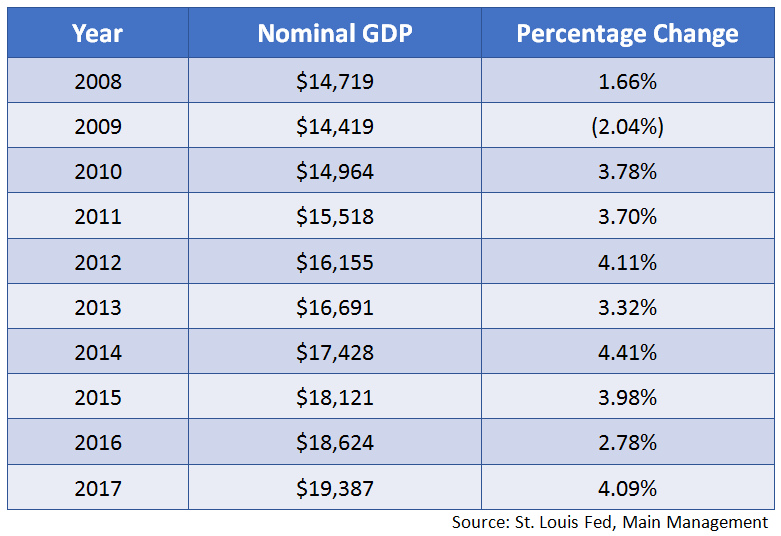 (Note: The average annual nominal GDP growth since 1948 was similar at 6.47%, which is as far back as our numbers go. We have used 1964 because it is the base year for a number of the other figures we use in this report). We like to look at Nominal GDP because it is a good proxy for corporate revenue growth and as an indication of pricing power of corporations, their spending patterns, and their capacity to pay higher wages. Additionally, Nominal GDP is important because we live in a nominal world as wages are paid in nominal dollars out of nominal corporate revenues. 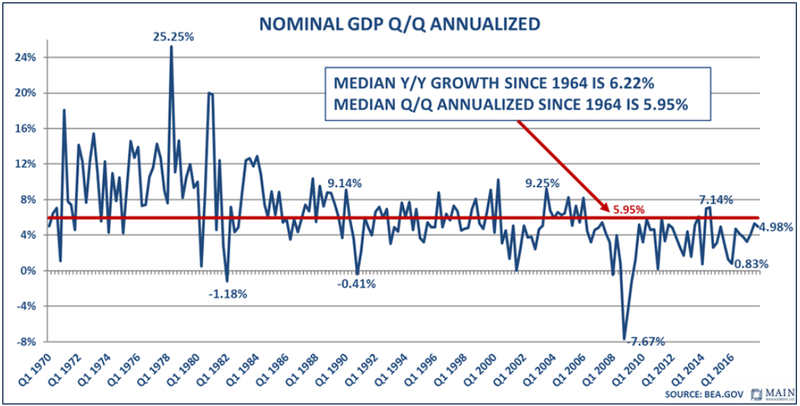 Regrettably, the growth in Nominal GDP has been slowing over the past number of expansionary periods as can be seen below. While higher Nominal GDP can lead to higher wages, lower Nominal GDP can act as a retardant and suppress wage growth as well. That has been the environment we have been experiencing lately although technology and the global marketplace have certainly played an important role as well.